Black Edition, Navigation, Cooled Seats, Leather Seats, Sunroof! 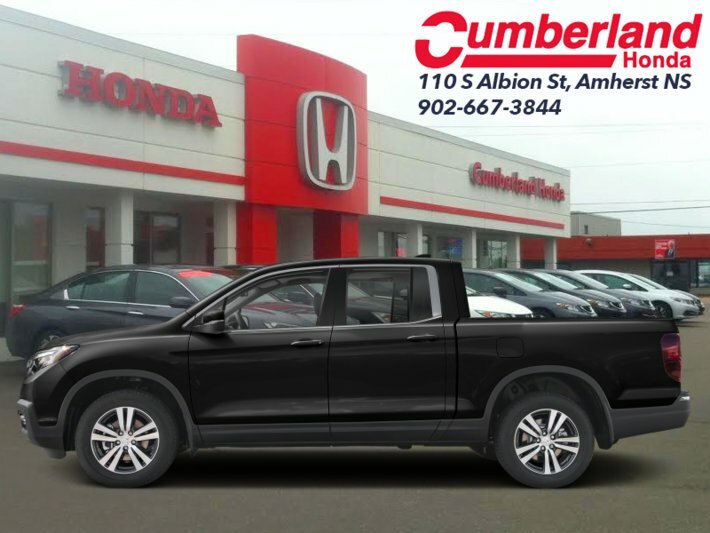 The 2019 Ridgeline presents itself as a high value pickup that offers the utility of a hauler while also being a well mannered vehicle with car like handling and acceleration. 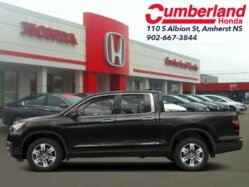 A quality built interior that is both supportive and comfortable is a big plus for such a pickup, as well as being a bulletproof reliable vehicle, which comes naturally with all Hondas. 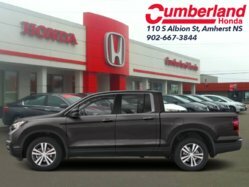 While it does look unconventional, the design is meant to blend the best of trucks and SUVs and gives the Ridgeline its unique niche in the mid size truck market. This crystal black pearl crew cab 4X4 pickup has an automatic transmission and is powered by a 3.5L V6 24V GDI SOHC engine. Driven via that muscular motor it gets 12.8 L/100 km in the city and 9.5 L/100 km out on the highway according to Transport Canada. Our Ridgeline's trim level is Black Edition. This aptly named Black Edition Ridgeline adds fully blacked out styling to the touring features like navigation, cooled front seats, leather seats, one touch power moonroof, heated seats, proximity keyless entry, remote start, heated leather steering wheel, premium 540 W sound system, Apple CarPlay, Android Auto, Bluetooth, truck bed audio, memory driver seat and side mirrors, SiriusXM, automatic highbeams, blind spot information system, LED lighting, rain sensing wipers, 150W/400W truck bed power outlet, and ambient interior lighting. 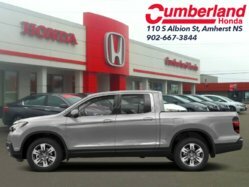 Active safety features include collision mitigation with forward collision warning, lane keep assist, and adaptive cruise control. Other features include multi-angle rearview camera, multifunction steering wheel, eco friendly technology, ECON mode, all wheel drive, aluminum wheels, dual action tailgate, fog lights, in bed trunk, LED taillights, and side mirror turn signals. 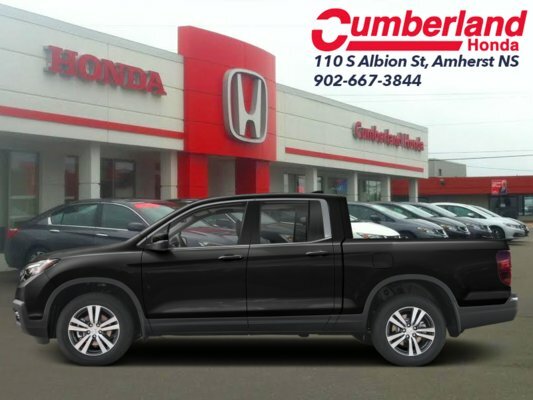 This vehicle has been upgraded with the following features: Black Edition, Navigation, Cooled Seats, Leather Seats, Sunroof, Premium Audio System, Memory Seats.